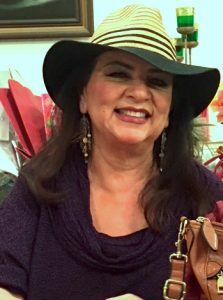 6/9/17 Meria interviews Monnica Sepulveda, Intuitive Therapist, Numerologist and Medium. Spirituality is the most important reason we are here. How to stay in balance in an upside down world? raise your frequency;It’s ALL frequencies and energies; how to; spiritual vs. religious; daydreaming;visualizations;action;the science of numbers;One person CAN make a difference; living in the low frequency of fear; fear is the absence of love; how to disconnect; don’t go into default behavior;Einstein on energy;ET’s;attacks on light workers;center and ground; trump broke the trance of complacency; intuition doesn’t lie, trust it; how to protect yourself; meditation is concentration and lots more. 17th Year on the net! Education you don’t get anywhere else – commercial/censor free because of your subscription. Support truly independent media -endorsed by David Icke. All downloadable. 14 Responses to "Beef Up Your Spirituality"
Thanks Meria, two shows in a row that offer solutions, factors I can be short on much of the time. By all means my vote is to keep the spiritually reviving shows coming. When I am reminded of the solutions I am also reminded that I allow myself to become overly distracted by the people who are highly skilled at distracting. I prefer to remain focused on life-giving resources but let the destructive stuff in far too often (volume is overwhelming eh!) when I go it alone or listen too much to the acts of criminals. Best to you. thank you! I’m glad everyone’s enjoyed them so much! Thanks for your comment! so happy you enjoyed it. Same frequency for sure! big hug and yes, there will be more of us! I would love to hear more shows with Intuitives, Mediums, and Healers. Have a GREAT weekend! x. That is GREAT news…looking forward to that! Had to make a comment. Love this show. I was already familiar with Monnica, because I heard her on the Richie Allen show a few months back. She’s awesome. Also, I’m glad to hear you guys will be doing a show together next month. Monnica will be a monthly regular co-host!